The Internet of Things industry is confusing need with demand said Mischa Dohler, Professor King's College London and Co-founder of Worldsensing, in an opening session at this week’s CW 8th Future of Wireless International Conference at the IET: Savoy Place in London. “People don’t care about smart homes and smart cities, they care about better healthcare and less congestion,” said Prof. Dohler. This message was reinforced by other leading speakers from the worlds of entertainment, fintech, healthcare, retail, automotive, energy and utilities throughout the two-day conference. 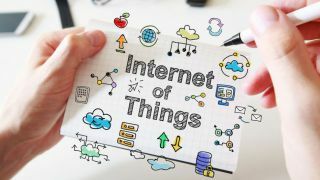 “From a vertical market perspective the pace of technology change in IoT and nascent 5G can be daunting. What is becoming more important is a change in thinking to focus more on the demand side and identifying where the IoT can make a real difference, rather than just a technology push,” said Simon Fletcher, CTO at Real Wireless and Chair of the Future of Wireless International Conference (FWIC). From the automotive industry, Ian Simmons, Vice President R&D, Magna International, explored the challenges for connected mobility and said that the automotive industry has changed more in the past five years than it has in the last 50. “Drivers of this change come from the sharing economy, stringent fuel economy and emissions targets, and advanced technology challenges of autonomous vehicles, connectivity and the IoT,” said Simmons. Looking at tough IoT challenges in engineering, Paul Stein, Director, Research & Technology at Rolls Royce highlighted many real world applications in aviation, nuclear and marine that are beyond the capabilities of current IoT/5G thinking. Speaking at the Gala Dinner, he challenged the wireless and electronics industries to do more to deliver the benefits of the IoT in harsh environments. Also at the conference, over 20 IoT start-ups demonstrated the value of access to new data sources and working together. 6 weeks of intense collaboration culminated in the Innovation Showcase, sponsored by Intel, and supported by Iotic Labs, Cisco, u-blox and the KTN. CW (Cambridge Wireless) presented awards to recognise some of the leading disruptive companies emerging in the IoT space. The winners were: Thales and Ogenblik for Best Collaboration; Trackener for Best Progress; MobiCycle for Most Commercial Potential; Open Energi for Most Transformative Idea; while Heartfelt Technologies won the award for Idea Most Likely to Benefit Society. The strength of the UK tech community was underlined by Eileen Burbidge, Partner at Passion Capital and Chair for Tech City UK, who said that she had, “witnessed personally the incredible blossoming talent in the UK tech sector throughout the whole of Britain – a real phenomenon”. After passionate arguments from Jacqueline Davey, VP Enterprise and Commercial, IBM UK & Ireland for the incumbents and David Cleevely from Cambridge Angels for the new disrupters, the vote was too close to call and deemed to be a draw. The conference, held at the IET, Savoy Place during London Tech Week, was organised by CW (Cambridge Wireless) in partnership with UK Trade and Investment and the IET, and with sponsorship from Magna, Intel, Ansys, Greater Cambridge/Greater Peterborough Enterprise Partnership, Microlease and Keysight technologies, u-blox, University of Cambridge Judge Business School, Anite, Interdigital, Canada Trade, Barclays, Rohde and Schwarz, The Technology Partnership plc, Cambridge Consultants, GTT, IC Resources and Consol Partner.